1. 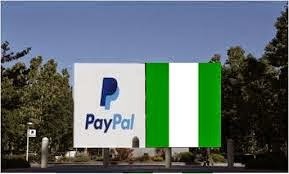 PayPal: PayPal now accept Nigerians to transact using their medium.You could buy, pay, buy, sell online using Paypal, I really see PayPal as a secure online payment gateway for Nigerians in Nigeria to make online transactions. 2. MasterCard Debit Card: MasterCard seems to be the one of the widely used card to make payment, accept payment, buy and sell on any site on the internet. VISA and Discovery also works but the MasterCard especially GTBank works for any transaction. 3. Perfect Money: The fall of Liberty reserve and inability of PayPal to accept Nigerians give rises to widely used of perfect money for online transaction. Perfect money is secured, reliable and can also be used in Nigeria to buy,pay,receive and make payment online in Nigeria. 4. VoguePay: This site is very nice in the sense that, it helps you to buy and sell through their website and make payment or accept payment through their medium. Vogue even helps website owners in Nigeria to accept cash through their site and get paid directly into their bank account. 5. Paga: This site is good, it offers pay4me service and its well secured as a payment service for any online or direct bank transactions. You can use it to pay and also accept money through their website. Its also a good one for bank to bank transaction. These are payment gateway services i will recommend for Nigerians to make online transaction such as making payment, accepting payment, buying and selling online. Thanks for reading. hello dear, love this post.please when choosing gateways for my online store i was asked to choose between cashenvoy and 2check out. which is better since I would be selling to nigerians.